What do baby shoes, surgical instruments, miniature souvenir books, death masks, and paper dolls have in common? 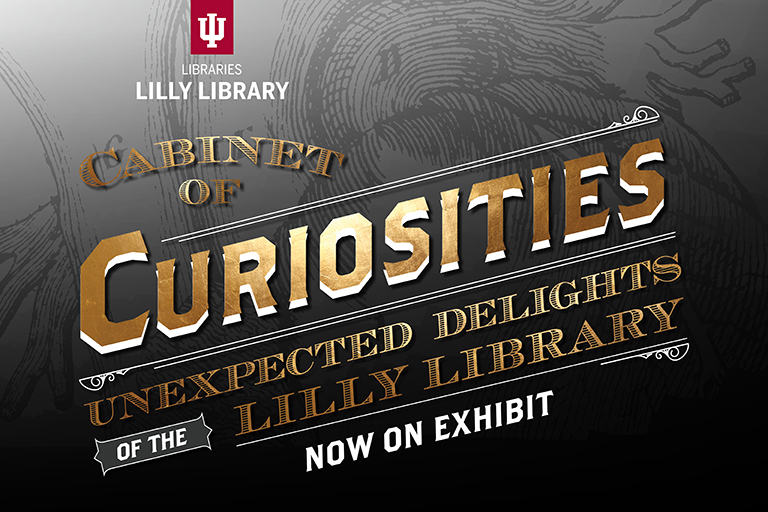 The answer is simple: they can all be found in the collections of the Lilly Library! The Lilly Library is well known for its world-class collections of books and manuscripts, but our stacks hold unexpected delights and surprising discoveries. Inspired by 18thand 19th-century cabinets of curiosities, we have selected some of our most eclectic and fascinating objects to fill you with wonder and sate your curiosity. So stop in and be amazed by a lock of Edgar Allen Poe’s hair, awed at Alfred Lord Tennyson’s pipes and tobacco pouch, and charmed by Sylvia Plath’s baby book. This exhibition will be here for a short time only, so don’t miss it!